On one occasion I get a call from a previous student who tells me they had been looking for my phone number for several days before they found it. Why does this happen? Someone comes through the class and records my name and phone number in their phone but six months ago and then forgot my name. I'm not offended nor am I surprised. Instructor: So you always have handy the person who can help you with your training and give you good input on your next purchase. 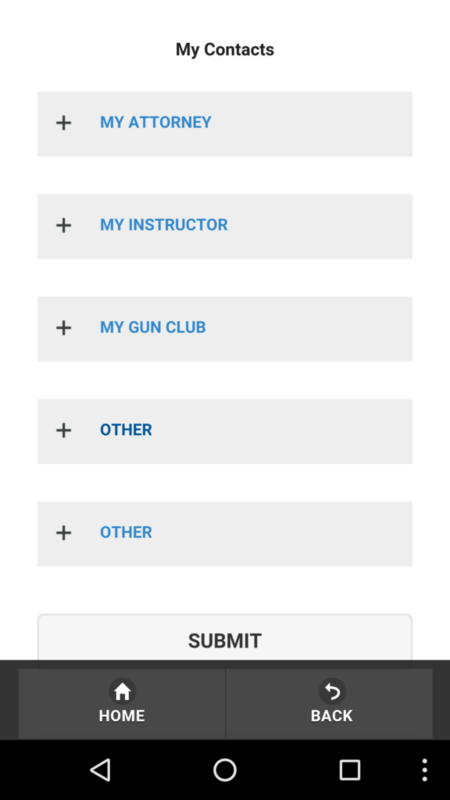 Other: You can add up to 2 other contacts which may include other industry professionals you count on to be part of your survival and firearm team.